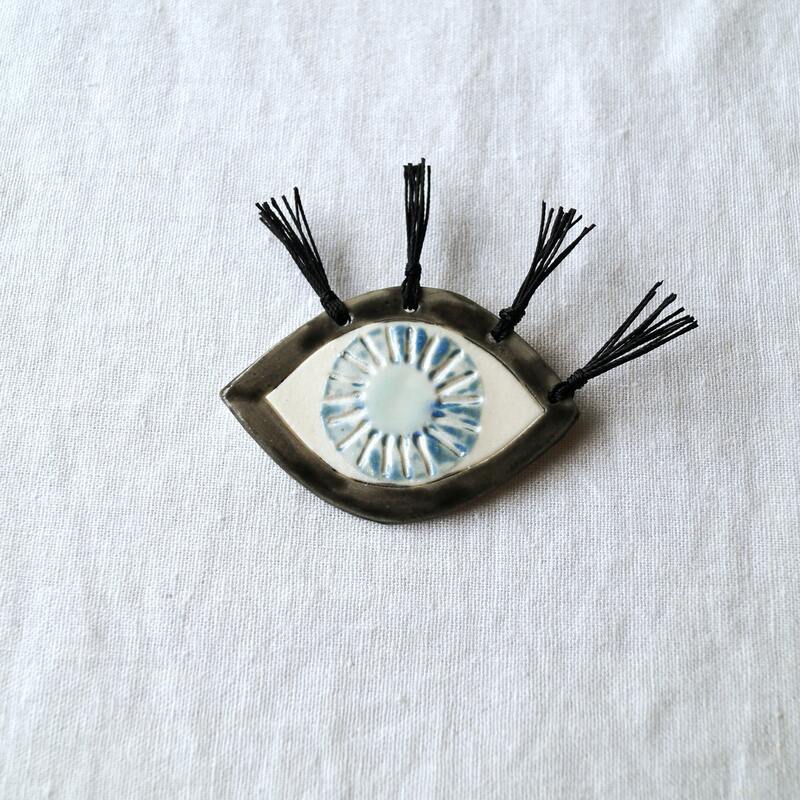 Mystic eye light brooch with tassel eyelashes. They are also known as evil eyes, but I think that is an unfortunate and superstitious description. 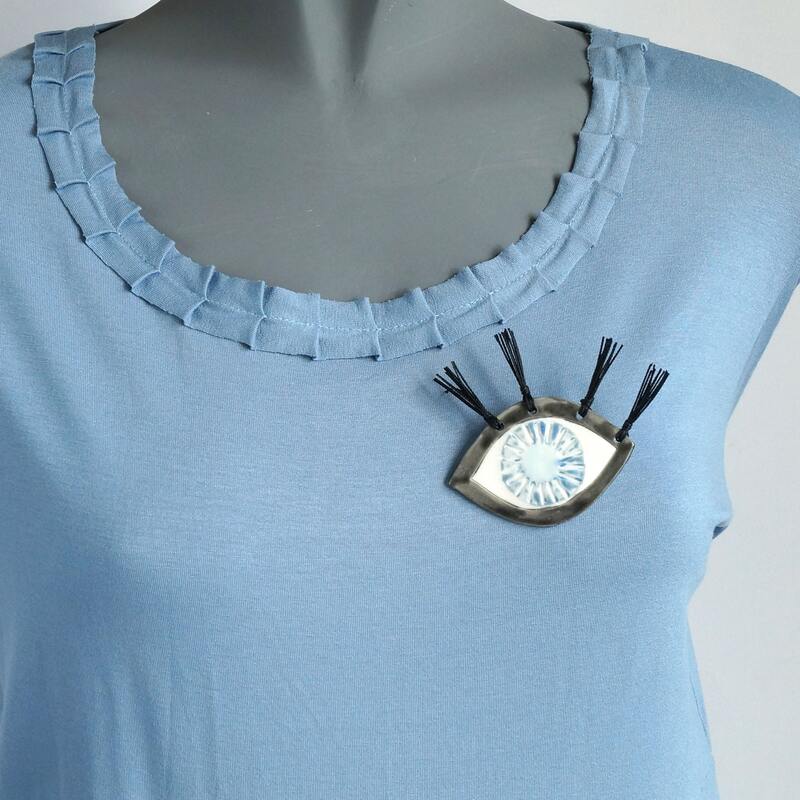 As true witnesses know, eye lights are spiritual, surprised, astounding and - like this brooch - do not have a black pupil. Hand crafted in white porcelain clay, glazed and fired in my kiln. Silver coloured metal brooch pin. 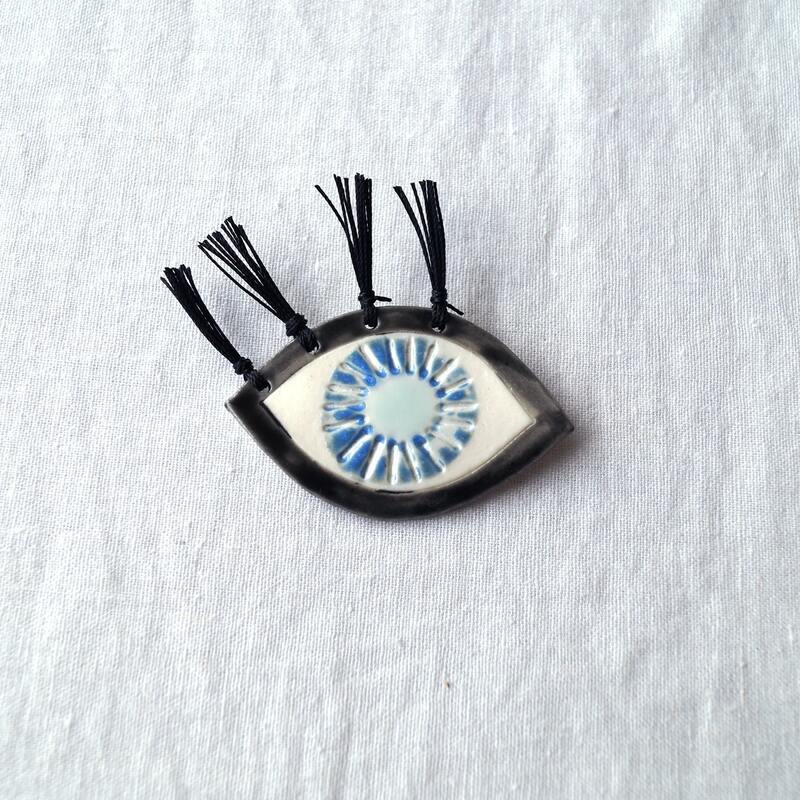 Eye 67 mm x 45 mm approx. 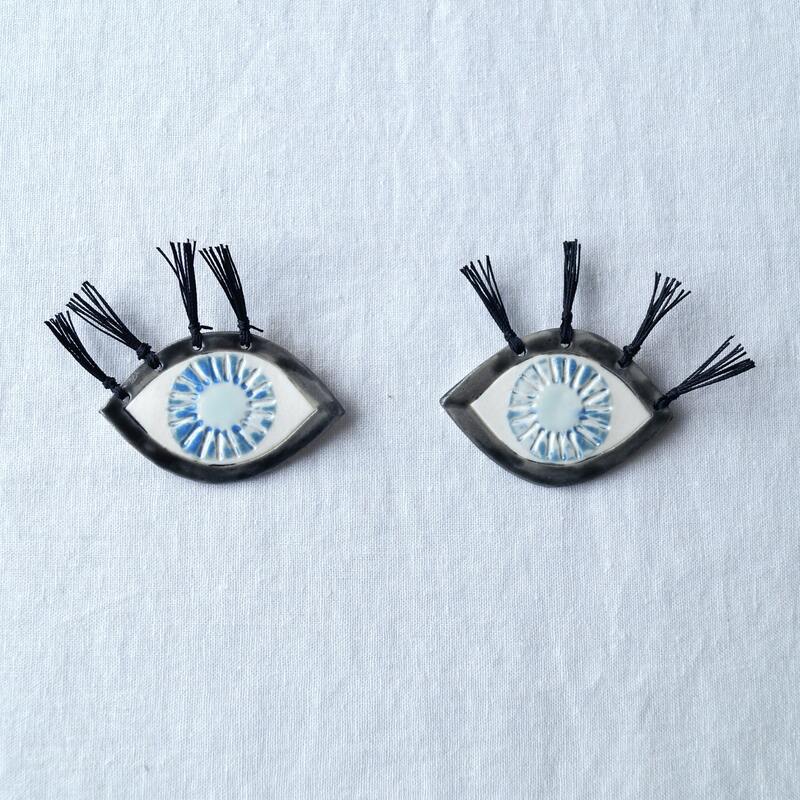 Tassel eyelashes 25 mm long approx. 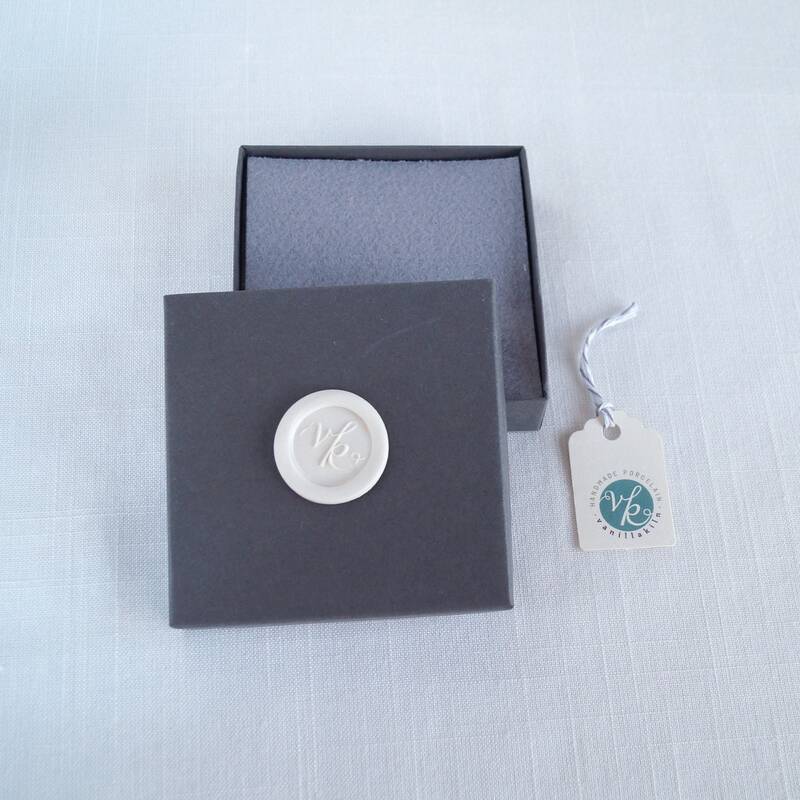 Supplied in lovely gift box.